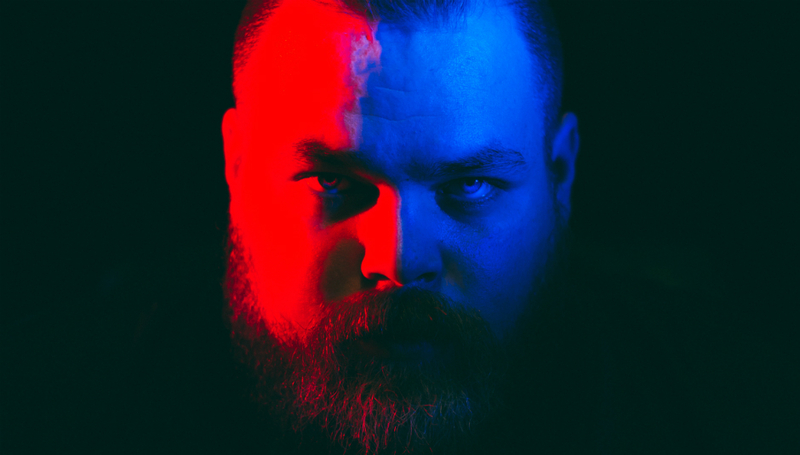 Six years is quite the gap, but Seth Haley, aka Com Truise, has used the time wisely. More evolution than revolution, his sound is now fuller, yet as elegant and immersive as ever. Neon streaks combine with bass swells, big drums, and funk-based grooves, lifting his technicolour synth-wave to new heights. Of course, he's still telling the story of intergalactic traveller Com Truise - this time, he's preparing to leave his home planet with his alien love for a life of peace - but there's more of Haley's personal life in Iteration; his move to LA, fighting homesickness, and dealing with burnout. "It's basically like I'm scoring this film in my head, but that film I'm scoring is also somehow my life," he says, but after 18 months of Californian sunshine something clicked, and Iteration was born. The opening credits of the album; it’s the prelude to Iteration. I always love to include some bass guitar or two on an album. That Cocteau Twins bass tone always hits the right spot! I used the Elektron Analog Keys on this tune. We’re thrown right into the action following the last song on Silicon Tare ('du Zirconia') which saw our hero Com Truise in quite a frenzied state. At the end of the song, it feels as if all is disintegrating. Maybe my favorite track on the record? It means “confusion” in Welsh. Perplexity. I've really been into wavetable synthesis as of late and this track is a good showcase of that. It’s almost as if there is a choir of synthesizer voices singing Com Truise back to life. This is one of the first songs I produced for Iteration and one of the few I’ve been performing live over the past couple of years. I used the Oberheim Xpander on this track for the chords. Maybe the most upbeat and uplifting track on the record. Robot funk. Everything turns into a memory including us. This track is about accepting that fact. I used the Juno 106 for the main stabs and the Prophet 6 for the stab chords. I also used some Eurorack bits towards the end. I love the crescendo. A slow-burner ballad. This track symbolizes escaping oppression and finding whatever tiny bit of freedom one can hold on too. For the main chords I used the OB6 and for the bass I used the Arp Odyssey. There's also a bit of DX7 on this track. Being sucked into the void without regrets or remorse. It's about letting go, being in the moment and working through whatever comes your way. Juno 106 on the main stab, lots of Eurorack for the effects and transfer sounds. Another example of my love of wavetable synthesis as of late. It's really about the things that make you who you end up becoming. Flawed leadership and the ability to change what oppresses us. Personal revolution and evolution without fear of the consequences. I used the Eurorack for the main brass stabs, the Prophet 6 for the gliding synths, and I also used the Teenage Engineering OP-1 on a few bits! The closer… the credits roll, the curtain falls. Or does it? The full-on kaleidoscopic synesthesia finale. Maybe the most dynamic and fluid song on the record. Almost hallucinatory in a way. I used a lot of Oberheim Xpander on this one. Iteration is out now via Ghostly International. For more information, including upcoming tour dates, please visit his official website.